While most guestimates scale up the 1D3 sensor to 16MP, 14 would allow bigger pixels, and with the improved fill ratio now found in Canon sensors, the ISO6400 SH option would give pretty good noise performance. ‘Just a couple of weeks ago Vic Soloman from Canon UK’s Product Intelligence division told me there is no reason to update the EOS 5D at the moment, as there is no competition for it. Sounds a bit fishy, but that’s from the horse’s mouth. One recent report we were sent suggested that the 5D2 would be available in March/April 2008, although whether it would be announced at PMA (end January) was not sure. I’m still going for the 16MP sensor (derived from the 1D3 design, so expect similar noise and sensitivity). 18th Is there 5D Mk2 support in the Capture One application? A comment on FM from a beta tester (B4) for the application spotted the camera name in a menu. 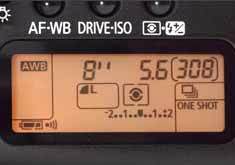 I’ve been told that the 5D Mark II field is on a menu on the C1 web site for supplying feedback and there is a screen shot in the FM thread mentioned above. This was always an aspect of Nikon marketing I could never fathom… It’s also good to see camera manufacturers putting a bit more effort into the software they supply, although many examples are still pretty poor. Added support for EOS-1Ds Mark III and EOS 40D. Added Lens aberration correction function (for correcting peripheral illumination, distortion, chromatic aberration, and color blur). Highlight/shadow warning function has been added. High speed (moiré reduction off) has been added to the High Quality display mode for RAW images. Retain sort order function in the main window has been added. And now a whole week without a decent 5D price reduction here in the UK! After Canon coming out with the promise (sorry, but a press release with some outline specs, no price and ‘real soon now’ attitude doesn’t quite make it a product launch in my book ;-) to show some big lenses at the upcoming show in New York, Olympus have finally come up with the E3. More details and specs at Olympus – you might like to compare them with the purported leaked Olympus document we have from the 29th of June. Price is expected at about £1100 in the UK? 12th The current favourite launch for the 5D2 is PMA next year (exhibitor list) it runs from Jan 31st to Feb 2nd, so expect the more solid rumours appearing early in the New Year. See this DPR thread for all the details (thanks). Runs until Mon 8th Oct.
5th Lots of people wondering where the ‘traditional’ US Canon rebates are? I’m currently travelling in the US and the exchange rate is making stuff noticeably cheaper, but not if you are importing goods. 30th September No word of a 5D rebate scheme (here ;-) in the US yet, but over on FM there is mention of a local store droping prices ($2300). 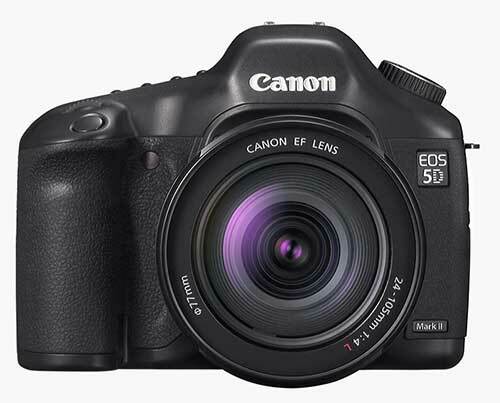 Meanwhile Canadians got a rebate scheme — a double rebate on the 5D, which is the only SLR being rebated. I’m off to the US (Seattle) for a couple of weeks tomorrow, but I’ll try and keep the rumours updated if anything interesting turns up. Starts 1st October and runs to the end of December, so it looks as if the 5D2 is next year? The entry level is growing faster and Canon is looking to move to a 12 month product cycle for the entry DSLR models (450D) as they are already for the compact (P&S) range. The 470D (name not decided) is now an early 2009 model. It is considered important to continue to maintain the 20 year investment in the EOS family to provide an upgrade path and backward compatibility for the foreseeable future. They are seen by Canon as providing some innovative features but lacking the professional credibility that they and Nikon have. Canon feel that Pentax do not have the economies of scale required in the DSLR market and will continue to be increasingly dependent on suppliers like Sony for key parts like sensors. 17th We had quite a lot of correspondence over the last few days, and interestingly much of it from different sources matched up. As such there are updates to just about every one of the rumours pages – see the rumours index for details. A very big thanks to all the sources! As mentioned before, the 5D2 feature set is decided upon. It could be launched as soon as November 2007 to ‘take the edge off’ D300 availability – otherwise it will be January 2008 for PMA. 3 inch screen, live view etc. 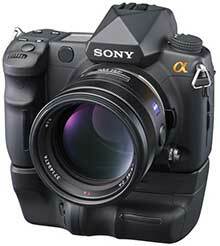 Body very similar to the 40D except for different pentaprism / viewfinder etc. Still not a sports camera – it will be 4 or 5 fps. Note this is aggregated from what we were led to believe were Canon ‘internal’ opinions, from a number of sources. 39% growth in 2006 to ~5.3 million cameras worldwide of which Canon sold ~2.5 million, Nikon ~1.75 million and Sony in third place with ~0.33 million, outselling Olympus and Pentax. The 30%+ growth in the DSLR market is continuing so far for 2007 and similarly strong growth is expected for the next 5 years. In contrast to this, the compact camera market grew 14 percent from ~88 million to ~100 million. Canon remained No. 1 with 22 percent growth to 17 million units shipped in 2006. However, and this is a key to changes in the way Canon is looking at its DSLR marketing, Canon’s total DSLR volume is growing but not as fast as the market, with Nikon and Sony taking the extra share. There is a feeling that the DSLR market is moving towards the ‘feature wars’ in the entry level consumer end that now exists in the ‘Point & Shoot’ (P&S) market. Semi-Professional / Advanced Amateur – Someone doing wedding photography etc and not needing the features of a full studio camera or an advanced amateur photographer wanting the best image possible. These are represented by the Canon 5D. Nikon’s target here is seen as the D300. This represents only 5% of the market, but is growing in numbers in line with the market. This position is seen by some within Canon as an evolution of their previous 3 tier model into a 4 tier model (1D series at the top). The 5D and Nikon D200 (and now D300) have helped redefine what an enthusiast will spend on photography. This, plus the fixed market share and volume of the full professional end of the market, is creating a lot of focus on how best to target that market. The D300’s inclusion of many of the ‘high end’ features from their D3 is seen as a sign of serious competition for the Semi Profession and Advanced Amateur buyers. This is a profitable section of the market both because of mark-up on the bodies and potential for significant high end lens sales. Canon have had to accept that the world of DSLRs was changing faster, and that some of their previous approaches to product development may have to change with it. DIGIC IV uses less power, and is faster than the dual DIGIC 3 found in the 1D3 and 1Ds3. In particular it can support 16bit raw and the larger 40-50MP sensors under development. With the larger sensors, it also supports pixel-binning where pixels are aggregated to deliver low noise and higher ISO performance at lower resolutions. Canon is working on a new generation CMOS sensor – lower voltage, full 100% cover micro-lenses and better dynamic range allowing 16 bit per channel raw files. These will support a clean 6400 ISO similar to today’s 1600 and go to 25600 with acceptable noise. Canon is very excited about these sensors – seeing them as being as big a step up in performance as their move from CCD to CMOS a decade ago. What to do with those 50MP images… Canon is considering built in hard drives (moving or solid state) in the 80-100GB range in future generations of cameras – mostly likely in a optional grip. Canon still believe that a greater proportion of the market will move to be full frame as the cost of the sensors come down. They have on-again / off-again plans to split the 5D and have a lower and higher end full frame model. This is being complicated by the emerging push to bring high end features into the mid range anyway (as per the Nikon D300. However so far, Canon is still seriously considering the split. Canon is looking at in-body IS for the entry level range DSLRs. They have worked out how to integrate it with the lens IS so that the in-body IS turns off if a lens with IS is attached and the lens IS is active. Technologically, this could also be added to any other DSLR. However at the moment, Canon’s engineers are opposed, believing that all those moving parts around the sensor is not good on a high end camera. Upgrading more of the wide primes (as per the 14mm L Mark II) Many of these are relatively old designs. These sell to FF professionals and will need upgrade as sensors climb into the 25MP+ range. Upgrading the telephotos and telephoto zooms with latest generation IS. Some of these (e.g. 100-400mm ) have 1st and second generation IS and could benefit from an upgrade. A broader range of consumer and enthusiast lenses with their affordable analogue based IS. Canon is looking at ways to expand its capabilities here using new design software and expanding the engineering teams in this area. Many of the L series lenses (especially the primes) sell in relatively tiny quantities – often just a couple of thousand or less in a year. This makes the return on investment pretty limited. Canon actually makes these in single production runs where they make a year’s supply in one go. Nikon is currently Canon’s most serious competitor in the DSLR market. They have doubled their market share in most markets over the last 2 years, although Canon’s actual DSLR volumes are still growing. The D3 is seen as a very clever camera. Very high ISOs – Some people feel that Canon could and should have done this too in the 1D III and 1Ds III. 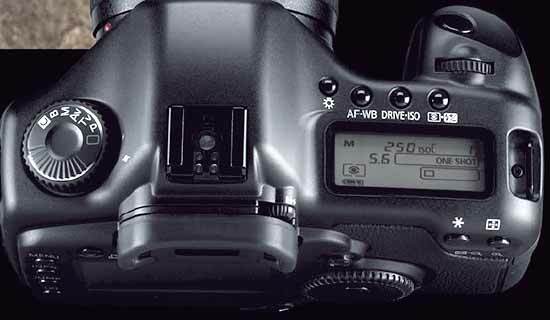 A firmware change could easily allow the 1Ds III to have 6400 and the 1D III 12800 – giving better quality than the alternative of underexposing by -1 EV. One of the reasons this wasn’t done is that Canon wanted even their top ISO to be seen as clean (Nikon has the reputation of offering high ISOs that were noisy) plus Canon -was- going to make a big deal out of 6400 ISO in the next generation. Backward compatibility with their 1.5 crop lenses – Seen as smart. There is apparently a way round the EF-S lens issue that Canon already has. Dynamic Cropping – Canon trialled this technology and didn’t add it as there wasn’t too much demand from the people doing the testing. That high resolution VGA style Screen – Made by Sony and very new. Canon expect to source one for their next generation of cameras. Live View AF – Some embarrassment in Canon about this. Basically the contrast based AF code is already there for DIGIC III from the P&S range. It was just felt that the AF sensors were better and more SLR like. 12MP Sensor – Some negatives such as the small size of the 1.5 crop mode (5MP). The sensor is Nikon’s and Canon haven’t yet pulled one apart, but they know how to do the 100% micro lens cover (this was already planned for their next generation of sensors but gets harder as the sensor pixels gets smaller). Some Canon people have seen D3 images from Osaka and were very impressed. This is seen as the first Nikon sensor to challenge Canon’s image quality. Pro Level AF and metering – a big issue. Generally seen as marking a major change in the market. Canon and Nikon have retained their pro-level AF and exposure for their top line bodies, making that (and the extra size, ruggedness etc.) a real distinguishing point. The marketing point of view is that this was an inevitable part of competition and the same change is due in the xD series. 6400 ISO – Seen as a bit of a gimmick by the Canon technical people. As the pictures seen so far look no better than 30D or 40D boosted. Once again marketing people would love for a firmware change to match this in the 40D etc. 12.2 MP Sony Sensor – This is seen as market defining, since Sony have it in their A700 and are expected to sell it to Pentax for their K10 replacement. Nikon is known to be testing a camera for the studio market which is basically a D3 with an approximately 25MP FF sensor. Sony have a FF sensor in the 25MP range that they are expected to launch soon. 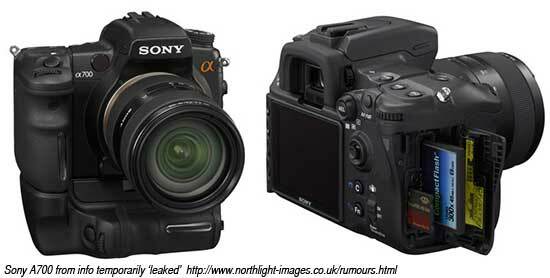 It’s not known as to whether this new camera would use a Nikon developed sensor (like the D3) or the Sony one. This will have the 12.2MP sensor, live view etc. but in the consumer style body of the D80. Seen as a very strong brand in the consumer’s mind and a vigorous competitor to Canon in the P&S and video camera markets. Lenses from Carl Zeiss are felt to provide a good high end heritage, while Minolta provides more the consumer end. Becoming the CMOS sensor supplier of choice to Nikon, Pentax etc. Further upgrading their in-body IS. Looking at high end technologies in their DSLRs such as hard disk drives, removable rear LCDs that can act as a live viewfinder. Sony will have 3 new DLSR models over the next 12 months and are also expanding their range of lenses. There are now some Nikon official sample images available for the D3. 10th There is an interview with the Canon senior executive manger in charge of camera products at DCWatch. It’s in Japanese so try a translation at Google. A: For the pro and high amateur, concentrate on noise (S/N) as it is important to picture quality. For the lower end products, use image processing to handle noise as high megapixel count is the trend… and you can’t go backwards on this. Question on IS inside the body… Answer: in the lens. Though his personal opinion is that some sort of hybrid system is possible. 8th Lower prices for the 5D? 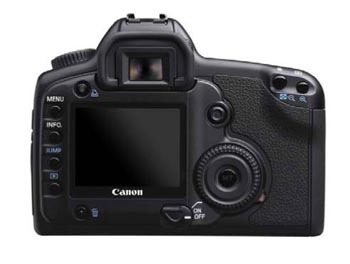 – I was sent (thanks) info on a 5D purchased in Germany for €1699 (about £1180) at Media Markt. If you are looking for one, I’d expect similar drops elsewhere before long. 7th Canon takes dust seriously :-) On DPR a US Patent was spotted covering a device to attach to the front of a camera and blow away the dust. What a surprise – the official announcement comes and it -is- a 700D from Sony :-) The the specs are as listed below – more details (but no sample images yet) at DPR. However there are some sample images showing noise levelsat CL. 5th The new camera from Sony is the A700 – or so lots of Sony sites ‘accidentally’ had up for a while. There’s a choice of 2 interchangeable focus screens for architectural (L Type) composition and manual focusing (M type). Focus screen replacement is only possible through authorized Sony service and depending local availability. 2nd For some sample Nikon D3 26500 ISO images see DPR 1st Although we keep getting reports of low stock levels of the 5D, there are still quite a few about (as you’d expect right up to the time the replacement is actually on the shelves). The Swiss price comparison page Toppreise still shows plenty of suppliers with the camera. August 31st A dealer in Munich (one of the few with the 5D still in stock) says they expect the 5D replacement to be ‘on the market’ by November. 24th The Elan 7NE keeps popping up on discussion boards as Nikon’s announcements yesterday cause an amusing increase in ‘sky falling in’ posts. BTW Park Cameras in the UK (who we are hopefully getting our 1Ds3 from ;-) have also told us they have more details on all the new Nikon kit as well as the new Canon equipt. 23rd The D3 and D300 have certainly reignited the 5DMk2 discussions :-) I’ve even noticed people mentioning the fabled 3D again (it’s been rumoured for years :-). It would be highly unlikely that Canon didn’t know what Nikon (and Sony) were up to, and must have factored all of this into their calculations. D3 and D300 share the same AF system. 51 AF points. 15 of them are cross sensor. Supports live view mode. Will switch to contrast based AF in live view mode. “Nikon’s Pro Camera Assault [IMG D3_85_ambiance_i] Just three days after Canon announced a pair of pro cameras, Nikon unleashed it’s own duo of high-end digitals: The ultra high-end D3 and the still really high-end D300. It leads with the Deathstar of SLRs, the D3. The biggest change is, in fact, one of bigness. Nikon equipped the new camera with a 36×23.9-millimeter image sensor that’s nearly as large as an old 35-milimeter film frame. Previously only Canon made these ‘full-frame’ sensors, which capture extreme wide-angle shots and have larger pixels to soak in more light. Top of some people’s wish lists are the D300 and D3 from Nikon. (see Thom Hogan’s updated Nikon ‘roadmap‘ and comments for some thoughts – or this long D3 thread on FM). Meanwhile Sony announce a 12.47 megapixel APS-C sensor captures 10.4 fps (EG) …only point the writer misses, is that it’s the data processing engine and camera mechanics that can limit frame rate at various target price points for a camera – there’s a better take on this news at DPR. Is this what we will see in the follow up to the A100? ‘The next generation semi-pro Canon cameras will sport a new sRAW mode (called cRAW or “cropped RAW”) which programs a FF or 1.3x sensor to behave like a 1.6x sensor. In this mode only the center portion of the image circle is captured. Effectively, the resolution is reduced, but EF-S lenses that are designed for 1.6x cameras can be used. 18th According to a lengthy email we were sent, the replacement for the 5D is now ‘feature complete’ and slated for early next year. 16MP and 14 bit — More info on the 1DsMk3 page. 11th A 7D? One of the web sites that a lot of people discovered following the 40D info from Best Buy (a US store) recently, was a UPC (barcode) database. 2007 July 20th In a move that -might- put some pressure on bringing out a 5D replacement, the French mag ‘Chasseur d’Image’s mentions a new body from Nikon to replace the D200 in this week’s issue. For a sensible take on what might be, have a look at this particular DPR post. 4th A suggestion on DPR that the 5D2 will be a relatively minor upgrade – of course the ‘discussion’ then moves to what is a ‘minor’ upgrade? 3rd Too good to be true :-) The pics are fakes, but see these two pics (#1 and #2) by the maker showing some animated gifs. July 2nd Two pictures appeared on a German board, but with no additional info. 19th A bit of a flurry on DPR with a suggestion of the 5D2 in August :-). The 5D was announced on 22nd August 2005, so it’ll be two years old by then. The general thoughts have been that the 5D won’t get updated until after the 1Ds3 turns up, since a 5D2 would take quite a dent out of 1DsMk2 sales – but if the top of the line was the 1Ds3 then the 5D2 would have space to move into, particularly if Nikon or Sony come up with something ‘Full Frame’. If there was anything new this summer, I’d look for the ageing 30D to get a revamp. Could one of them be FF? See this thread on DPR where June/July is mentioned, although this post suggests that the A300 (smaller one) is for this year. April 28th There’s a dealer rumour on FM from France that says no 5D replacement this year, however the 40D will arrive in July and will support EF-S lenses. 1st Warehouse Express in the UK have been sending out details of the various Canon rebate offers: “Up to £1308 CASHBACK on selected CANON DSLRs and accessories” Looks like a concerted effort to shift some kit. Actual rebates seem to vary a bit between countries. March 19th An odd 5D display? 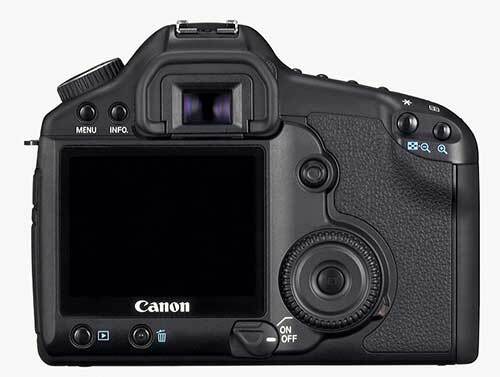 It was pointed out to me (thanks) that the 5D in the Canon brochure http://www.usa.Canon.com/app/pdf/d_eos/EOS_Pro_Digital_Bro.pdf (p11 in the pdf, p23 in the brochure)has an unusual top LCD. 15th Rebates on the way? In Germany Canon is sending out a mail which says there will be Cashback for 400d, 30d and 5d staring on 1st of April, ending on 30th of June. 5th I’m hearing of noticeable drops in 5D prices in the UK? – not any details however. This could be related to the kits etc. mentioned yesterday. So, no 5D replacement until the end of the year? 7s – with Eye Control? This new camera has a lot of new features – Possible pointers to what might appear in the 5DMk2 (or whatever it gets called) when it arrives. 15th I’m told that the 5D is now down to £1499 at Warehouse Express in the UK – still at £1599 in some of the adverts, but it’s quite a noticeable move over the last few months. Perhaps ready to make space for the fabled 3D at last ;-) –or 6D as I saw somewhere the other day. Unfortunately the 24th is a Saturday – not a traditional news day? Even though the 1 series sells in very limited quantities, the professional camera division in Canon has a lot of clout – seen as creating a brand image leadership in the whole camera space. The 30D replacement is badly required as the 20D/30D’s combined market share has dropped radically over the last few months due to a combination of internal competition from the 400D and the market impact of the Nikon D80 and Sony A100 etc. 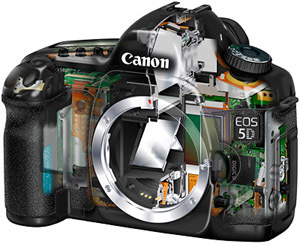 The 30D series segment is seen as important to Canon because of lens on-sell. This market and upwards tends to buy extra lenses, including high value lenses (I interpret that to be “high profit”). The two 5D replacements make the most sense if sold together. Though they could announce the high end one first (as a 5D replacment) and then follow with the low end (entry level FF). The low end 5D repalcement is thought too similar to the 5D to be released while the 5D is in the market. The 5D has not sold as well as hoped in most markets except when rebates are offered. However Canon still sell lots more of them that the 1 series and they are nicely profitable. They also have excellent resell on high value lenses. The combination of Nikon’s aggressive D40 / D80 / D200 range, with the Sony A100 is taking more DSLR market share than Canon predicted. The 400D is selling very well but Canon know they need to regain more of the midrange DLR market quickly to maintain the lens sales and ‘own’ the system for the advanced amateur and semi-pro etc. Sony is known to be working on CMOS sensors at 1.6 and FF for their DSLR range and are expected to continue to complete aggressively on features. (Interesting to see what this does for Nikon who currently buy their CCD sensor from Sony) (Also interesting to see no mention of Pentax, which seems stange..). Low end – similar to current 12 Mp sensor but with a more 30D like body (could be a 7D?) and DIGIC III. This low end and xxD series were meant to provide a more cost effective choice between 1.6 and FF for the advance amateur and allow a gradual migration to more full frame over time driven by the market. 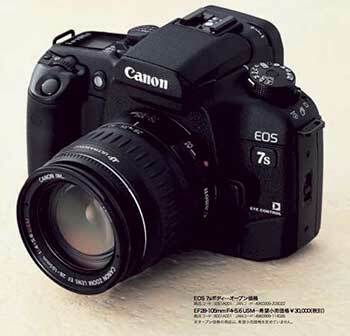 Via a Canon dealer in South Africa, there was the suggestion that March will bring a 7D, using the 16MP sensor from the 1Ds2 and anti-dust from the 400. The ‘Mk3’ was due to go to 22+MP. The 7D was definitely for March, but less sure about the other one. The price is a forecast price or a drawing up volition hope price one possibility. Again once emphasizing… lwu me Is. lwu me Petty there is a right equator and it tries to raise from information dimension. ids mk2 succeeding model: It says that the some pro are doing test already. 22Mp The rumor will be above digic 3, 3 inch LCD and dust removal,3 degummed yarn… It remained and as the person who is a tester from the public piece being announced next year in April. Origin it reinforces the square damp-proof portion which is November come into the market plan which will come and the bedspread which it says that ni information about the price of 1:1 reeds which will come out from the cone newly waits compared to comes out flowing. Currently 5d 16Mp the sensor it is sweet in size and 5 degummed yarn and square damp-proof (anti-dust) the cross sensor comes to be many, the reed which affixes D Jig 3 coming out Rab ni all. When it becomes like this and 40d middle charge all FF sensor runs last and 400d only the succession khu remains with Rob sensor and as. Different contents the broad way which is confirmed it will amend. “The 7D is the 16MP replacement to the 5D. 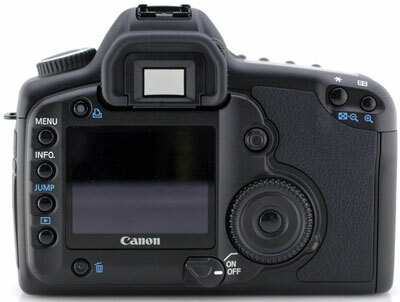 It will use the sensor from the Canon 1Ds Mk II in the 5D’s body. It’s a full-frame 24x36mm sensor. If you have something to shoot today, get the 5D since the rebates make it cheap – about $2200 if you get a lens and take full advantage of Canon double rebates. The 7D will come in at $3,099. The EOS 5D’s full-frame CMOS sensor records 4,368 x 2,912 pixels-that’s 12.8 Megapixels, larger than many other companies’ top-of-the-line sensors. The same size as a 35mm image on a traditional camera, the sensor operates without a conversion factor. This is perfect for taking advantage of the spectacular optics in Canon’s L-series, and will be a joy for wide-angle enthusiasts who can make the most of their wide-angle lenses. This new CMOS sensor, designed in-house by Canon, provides smooth, high-resolution images similar to the EOS-1Ds Mark II but in a more compact body. Two automatic noise reduction features maximize the effectiveness of the EOS 5D’s on-chip noise reduction. Noise reduction can be activated when noise is detected or it will simply come into play on any exposure of 1 second or longer. DIGIC II Image Processor 3.0 fps for up to 60 consecutive JPEG or 17 RAW frames in a burst. The EOS 5D’s new 12.8 Megapixel sensor is driven by the revolutionary DIGIC II Image Processor for unprecedented performance and image quality. Thanks to the DIGIC II Image Processor, the EOS 5D is capable of shooting up to 3 frames-per-second for up to 60 JPEG or 17 RAW images. The information captured by the sensor is processed and assembled into images of exceptional clarity and resolution. Photographers can expect precise, natural colors, spot-on white balance and speed in any number of lighting situations. By handling larger volumes of image data, the DIGIC II Image Processor also contributes to lower power consumption: photographers will discover that they can shoot all day with the EOS 5D without having to change the battery! In addition to 9 different AF points for locking focus on subjects, even if they are not in the center of the composition, the EOS 5D features 6 Supplemental points around the center AF point which help to ensure an even greater degree of focus accuracy when tracking a moving subject. This feature is significant for sports photographers, as well as anyone who needs to keep focus locked on an unpredictable subject. The Supplemental AF points are not displayed in the viewfinder, and they cannot be manually selected. However, they are used in AI Servo AF mode when the EOS 5D is set for automatic focusing point selection, and also when the center focusing point is selected together with Custom Function 17-1. The EOS 5D boasts a newly developed, high-speed and durable shutter unit that was designed to meet the demanding requirements of a full frame sensor in a relatively compact body. With a top shutter speed of 1/8000 sec. and with a remarkable 100,000-cycle shutter life, it truly is a camera built to professional standards.